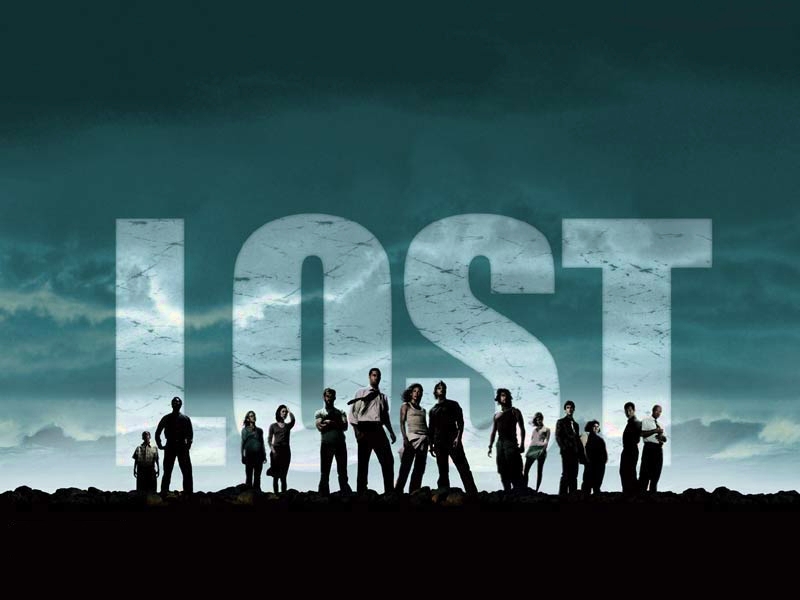 Malaysian Flight MH370 went missing on March 8th between its planned flight from Kuala Lumpur to Beijing. This flight had 227 passengers and 12 crew. It was cruising at 35000 feet in good weather. Pilot's last words were to Malaysian Air Traffic Controllers - "All right, good night." Contact with ground controllers was lost less than an hour into its flight, somewhere between Malaysia and Vietnam. Vietnamese pilots half hour ahead made contact, but received a garbled response. No distress signal was sent out. The plane's transponder (continuously transmits flight information) stopped working near the southern tip of Vietnam. 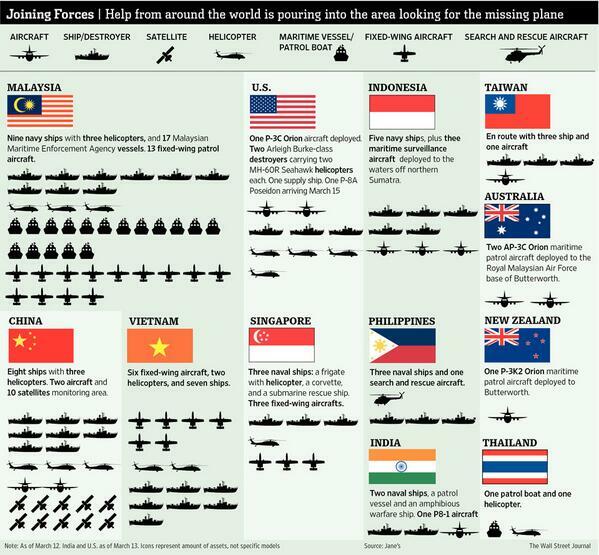 Search and Rescue has been carried out on both sides of Malaysia. Two passengers were flying on passports that did not belong to them, but have been cleared of terrorist activities and links. That five passengers checked in and did not board, necessitating in the removal of their luggage. A Chinese terrorist group sent emails claiming responsibility; this was quickly discounted as a likely hoax. 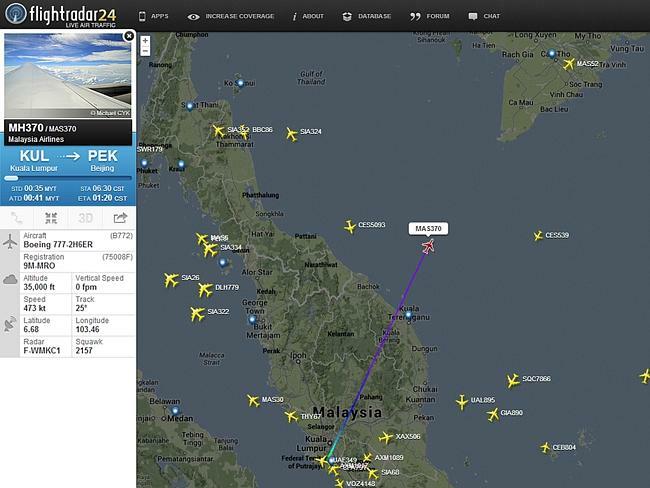 That flight MH370 was spotted on Malaysian military radar heading west over the Malacca Strait. The phones of the passengers are ringing... but no one is answering. That the flight changed course just before the transponder ceased transmitting signals. That the transmitter was purposefully turned off. That the 20 engineers from Freescale were the targets and the entire plane was hijacked to kidnap them. That the flight was actually flying for 4 hours after the transponder stopped transmitting. That decompression caused hypoxia and the flight continued on as a ghost plane after crew and passengers lost consciousness. That fire caused the loss of communications and also the loss of the entire plane. That somehow, the plane was hijacked for nefarious reasons and flown to an unknown location. Terrorists managed to access the transponder rendering it useless, overwhelm 200+ people and have flown the plane to a secret location to use it for "other purposes" ie. weapon of mass destruction. It was carrying gold/diamonds/other important cargo and this was a planned heist. The 20 techs aboard from Freescale are wizards who cast a cloaking device spell and the plane is now trapped in some kind of timewarp. Some of the above points could probably be under more than one heading... but regardless, all the points are my understanding of this crazy mystery. And why am I interested in this? Because of a dream I had on the evening following the disappearance. So... any thoughts to add to this baffling mystery? Aliens huh? The situation is pretty weird. Dunno. ^I was about to say that this is a Hollywood screenplay just waiting to happen! ^Maybe if we're playing by Dark Void rules. Saw on the news what kind of forces their gathering to find this thing. Kinda amazing. Already started writing the feature film. Now the papers are saying that the plane was diverted, and appears to have been done by an experience pilot familiar with alternate routes? More details on the hijacking theory. "I'll be your captain now!" If you're hijacking this plane, assuming your goal is not to crash it, where do you land? I wouldn't think you can just plop a 777 down anywhere. Maybe it's like the episode of Air Crash Investigations I saw. Some guys hijacked a plane and insisted it be flown to a far away place. The jet didn't have enough fuel for that, but the hijackers didn't believe them. They eventually ran out of fuel and crashed into the ocean. It's now been confirmed that MH370 was the unknown plan Malaysia tracked flying west across the country and inexplicably decided to do nothing about. That doesn't answer where it went after dropping off the Indian radar it was flying towards, though. Obviously it had been picked up flying west and would've been tracked by Malaysia again had it turned back east, but you'd think Thailand or Indonesia would've noticed it if it went north or south. This just gets more confusing every time we find out more.